"Be Happy, Be Healthy, Live Longer, Play Golf" (TM) That's been my marketing message for years! More true today than ever as studies confirm how healthy golf is because it requires mind/body coordination. My website is different from most websites about women's golf. I don't offer lessons but sometimes direct readers to other websites that do. And I am not just another golf magazine. I share news -- but I also offer my opinions. I write about many different subjects from the new USGA golf rules to whether Michelle Wie's skorts are too short. But my goal is always to educate and help women understand the game of golf -- whether they play it well or not. I want all readers of my website and especially Nancy's Blog to be educated golf fans. I want all women golfers from young to old, from new golfer to experienced golfer to love the game like I do. And I write about golf fashions because I love them! Every year I visit the PGA Merchandise show to see what's new. I was first to spot "tights" and now "skites" and the trends. I report the news from the LPGA Tour and enjoy and value a close relationship with Mike Whan, the LPGA Commissioner in photo above, and LPGA Media. And I follow the Ladies European Tour (the LET) as well. I have attended and written about the international competitions and attended and reported on three Solheim Cup tournaments. In addition to this website, I have published on several international websites including www.womensgolf.com published out of Australia. The book: Women Welcome Here! A Guide for growing womens golf was published by the National Golf Foundation and was the first book of its type. [It is still available at www.ngf.org] The Introduction for that book was written by Suzy Whaley who I had met and spotted as a female golfer that was going to make a difference. Suzy will beome the next President of the PGA of America in 2019. I was right! I play golf as much as I can -- in competitive matchs and just for fun. I have served on the governing boards and committees of three golf clubs including my current golf club Frenchman's Creek Beach & Country Club in Palm Beach Gardens, Florida. About my golf: I am what is often called a "bogey" golfer. A "bogey" in golf is one shot over par -what an expert golfer would need from tee to green. On standard women's tees for 18-hole courses (around 4800 to 5200 yards), I usually need one more shot than an expert female "par" golfer would need to reach the putting green. But golf uses the USGA Handicap System which creates a level playing field; so, I play in the major championship matches at my home course. I like relaxed non-competitive golf AND competitive golf. I follow the LPGA Tour closely and appreciate my relationship and access to various departments of the LPGA, including the LPGA Comissioner Mike Whan. Every year I have been fortunate to interview the Commissioner and ask some hard questions. Women's golf is growing -- globally! I follow the Ladies European Tour and watch closely the impact of women's golf as a "global" sport. I love the marketing message of the LPGA Tour: "A Global Tour Like No Other." After careers that included teaching, law and business and marketing executive, I retired and decided to offer seminars to new women golfers. One seminar led another and that led me to the National Golf Foundation. One of my proudest accomplishments was writing the first book for golf facility managers and teachers about how to attract more women golfers. Published in 2003 by the National Golf Foundation in Jupiter, Florida, "Women Welcome Here: A Guide to Growing Women's Golf" still is in print and just as current today as it was fifteen years ago. I am a marketing consultant for the event. Pictured below are Elisa and me at an event at the January 2018 PGA Merchandise Show where we were joined by Annika Sorenstam and several other leaders of the golf industry to promote the event. If you have a question that I can answer in about fifteen minutes or less, please email me at nancyberkleygolf@gmail.com. I am not a golf instructor but can help you find instructors in your area as well as lead you to many websites that offer instruction. If you have a question about starting a new line of women's clothing, I have knowledge of that as well. If you want to help your golf club be more women-friendly, I love that question! I have helped students studying sports-marketing and even high school students writing reports. If you are looking for better events at your golf facilities or manage a womens-guest day, I have lots of ideas about that. JUST EMAIL ME WITH YOUR QUESTIONS. IT'S MY WAY OF GIVING BACK TO THE GAME. WOMEN WELCOME HERE! Comprehensive self-help book available for golf professionals, golf facility managers, event planners, and women's associations about how to grow the number of women golfers and rounds and revenues. Foreword by former President of The PGA, Commissioner of the LPGA and Suzy Whaley LPGA and PGA Professional. Published 2003 by the National Golf Foundation. Available from www.ngf.org ($50 non members) http://www.ngf.org/cgi/catalogsearchdetail.asp?ITEMNUMBER=99GCM14&CategoryID=13&Keyword= and www.ngcoa.org (special pricing) and www.graa.org. For an outline of the chapters, contact Nancy Berkley. 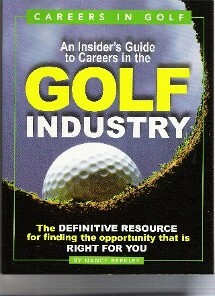 Written for high school and college students, this is most current book about CAreers in the golf industry. Published 2001 by The National Golf Foundation. Featured on www.juniorlinks.org (USGA-sponsored). Available from the National Golf Foundation. www.ngf.org. To help personalize it to your situation, I provide on-site consultations and online or reviews of your marketing materials. The fees are based on the services your company requests and are reasonably priced. For women golfers, Nancy offers several types of Introduction to Golf programs -- especially successful with new women golfers. Following is a description of basic consulting services. If you have a quick question, use the FREE HELP LINE. Evaluate course conditions, tees, score card, rangers and bag room, rest rooms and other golf course amenities for women. Note: All proprietary and non-public information gathered will be treated as confidential. Please call for fee estimates. For on-site consulting, fees range generally from $500 to $1000 with reimbursement of travel expenses. In some cases, consulting does not require on-site visits. Use the COMPLIMENTARY HELP LINE tab on this site to ask questions. 1995: Certificate of Professional Management Development, Harvard Business School, Boston, MA. Present: World Golf Foundation Women's Committee. Communications committee and website www.lpgawomensnetwork.com. 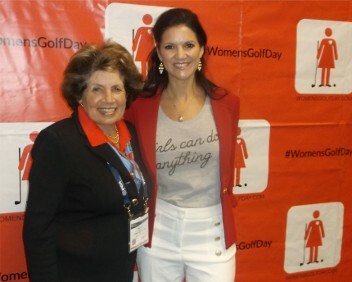 Present: Reporter for www.womensgolf.com -- See interviews with LPGA Commissioner Mike Whan and Reports from the 2015 Solheim Cup and many other articles for both "never-ever" golfers and experienced women golfers. August 2014: Speaker: Main Stage - PGA Fashion and Demo Experience, Las Vegas -- "What's New for Women Golfers"
February 2014: Speaker: Carolinas PGA Section -- annual meeting -- "A Guide to Growing Women's Golf"
2008-Present: Writer/Reporter/Observer on Women's Golf on www.berkleygolfconsulting.com (also www.nancyberkley.com. Twitter @nancyberkley and @womensonlygolf and @solheimcup. Facebook: Nancy Berkley. Author, consultant, researcher, educator and speaker addressing diverse elements within the golf industry and golfing community. Special focus on growing participation by women and junior-girl golfers and on encouraging facilities to provide women-friendly environments. Most recently an expert witness representing defendant golf club in a gender discrimination case. 2010 to present: Founder and editor, Golfergirlcareers.com. 2005-2015: Founding author and contributor, Women’s Golf Section, Cybergolf.com. 2002-2009: Advisor “Golden Links Advisory Board” of Corporate Meetings & Incentives; contributor to annual Golf Event issue. Women Welcome Here! A Guide to Growing Women’s Golf (National Golf Foundation, 2003). Careers in Golf: An Insider’s Guide to Careers in the Golf Industry (National Golf Foundation, 2001). Women’s Golf Programs that Work: Best Practices and Case Studies (National Golf Foundation, 1999). “Records Set at U.S. Women’s Open,” (July 2011). “Olympics in Rio 2016 - 'The Girl from Ipanema' ,“ (January 2011). 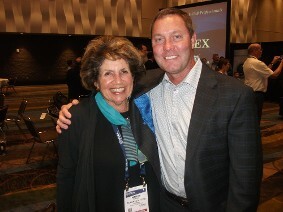 “A Conversation with LPGA Commissioner Whan: The Future of the LPGA, (November 2010). “For Golf Facilities Wanting More Women Golfers” (June 2006). “Countless Ways to Grow Women’s Golf Include These Five Suggestions,” PGA Show News (January, 2005). 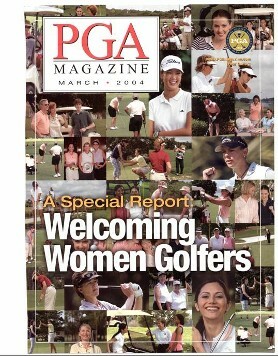 “Special Report: Welcoming Women Golfers.” PGA Magazine (March 2004)(cover story). 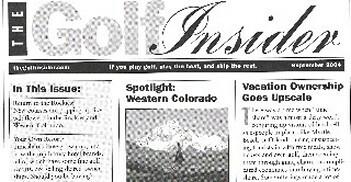 “Golf for Busy Women,” Golf Business Magazine (March 2003). World Golf Foundation: Committee on Women's Golf: New Inititive composed of a leaders of major women's golf associations and writers charged with developing a sustainable "grow-the-game" for women and junior girl golfers. Panel Moderator: “Summary of Conference” (November 2003). Panel Organizer and Moderator: “Growing Women’s Golf” (November 2001). LPGA 50th Anniversary Celebration, World Golf Village, St. Augustine, FL (2000), moderator two featured speaker panels that included women involved in the founding, history and ongoing programs of the LPGA and LPGA Tour players. 1996-1998: Vice President, Corporate Marketing and Business Integration, Prudential Insurance Company (now Prudential Financial), Newark, NJ. 1994-1996: Vice President, Planning, Enterprise Management, Prudential Insurance Company, Newark, NJ. 1992-1994: Assistant to the Vice Chairman, Prudential Insurance Company, Newark, NJ. 1988-1992: General Counsel, Prudential Mortgage Capital, Prudential Insurance Company, Newark, NJ. 1985-1988: Law Associate, Sullivan & Cromwell, New York, NY. 1963-64: Teacher, Ford Foundation Program for Creative Students, Weeks Junior High School (English and Social Studies), Newton, MA. Use the COMPLIMENTARY HELP LINE. If I can answer in 15 minutes -- it's my donation to the women's golf.